DXY stages a modest recovery after upbeat Chicago Fed's National Activity Index reading. Copper futures turn negative on the day. 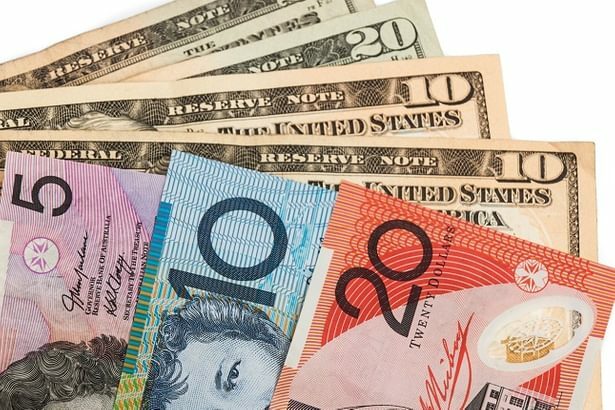 Although it looked like it was able to find support near the 0.74 handle earlier in the day, the AUD/USD pair came under a renewed selling pressure in the last hour to drop to a fresh daily low at 0.7382. As of writing, the pair was trading a couple of pips above that level, losing 0.5% on the day. The monthly report released by the Federal Reserve Bank of Chicago on Monday showed that the National Activity Index, boosted by the upbeat production-related indicators, advanced to 0.43 in June from -0.45 in May. Supported by this data, the US Dollar Index rose slightly above mid-94s to turn positive on the day. Later in the session, existing home sales, which is expected to increase by 0.5% in June following May's contraction, will be looked upon for fresh impetus. A positive reading is likely to give some short-term boost to the greenback and continue to weigh on the pair. On the other hand, the commodity-sensitive aussie seems to be having a difficult time finding demand on Monday amid falling copper prices. After advancing to a weekly high at 2.776, the copper futures retraced their daily gains and was last seen trading at 2.752, where it was down 0.15% on the day. Despite today's fall, the RSI indicator on the daily chart continues to stay near the 50 mark, suggesting a short-term neutral price action. On the downside, the initial support aligns at 0.7345 (Julo. 17 low) ahead of 0.7315 (Jul. 20 low) and 0.7265 (Dec. 16, 2016, low). Resistances could be seen at 0.7400 (psychological level/20-DMA), 0.7460 (50-DMA), and 0.7500 (psychological level).